SLICE OF PARADISE: Group members take a break. 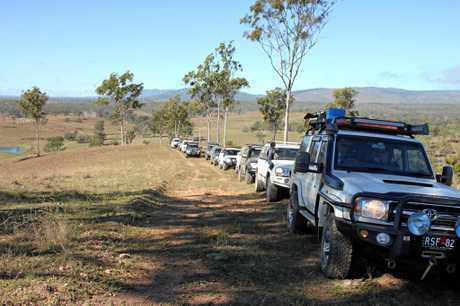 THE latest trip for the members and visitors of the Bundaberg Four Wheel Drive Club saw 21 vehicles head out to explore the area around Paradise Dam. The dam is a rock-filled gravity dam across the Burnett River, located about 80km south-west of Bundaberg. The area sprung to life when gold was discovered in the 1880s. The gold fields at Paradise and Shamrock were short-lived though. The township of Paradise now lies under the water at Paradise Dam, which was built in 2005. A walk along the Heritage Trail takes you to various parts of the old gold mining sites. Group members access a private property. Moving on from there we were allowed access to private property where the owners guided us through some majestic countryside to end up further upriver on the banks of the dam at their secluded camp spot. People allowing our club onto their properties is one of the benefits of being a member. Located 18km north-west of Biggenden, a stop at the heritage-listed Chowey Bridge was on the agenda. The bridge itself is a superbly proportioned concrete arch over a deep pool. 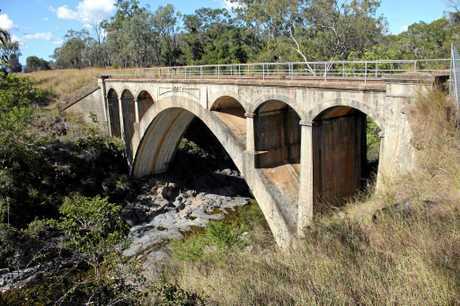 On the Mungar-Monto railway line, this concrete arch bridge has the third longest span of its type in Queensland and was the third bridge of its type to be constructed in Australia. Construction was completed in December of 1905. The rail line closed in 2004. Mingo Crossing was the next port of call for the day trippers, situated along the banks of the Burnett River. About 30km south of Mount Perry the Mingo Crossing Campground is a perfect base for all types of water sports and camping with powered caravan sites as well as a camping ground, kiosk, large undercover barbecue areas, spotless amenities block and plenty of parking for cars and boats. Now on the homeward bound part of the trip we headed into the Goodnight Scrub National Park. The local story for the origin of the name is said that the scrub was so thick that a person could neither walk nor ride a horse through it. However, cattle could push their way through the scrub. When herds of cattle were being driven along the western edge they sometimes broke away and vanished into the scrub. When this occurred it was said "You can kiss your cattle good night”, hence the name. After heading into some of the less travelled tracks it was clear to see what they were talking about, with vehicles coming out sporting some new "bush pinstripes” from the undergrowth. Owning a four-wheel-drive and using it as intended comes with these sorts of additions, you just need to take it on board and call them memories. 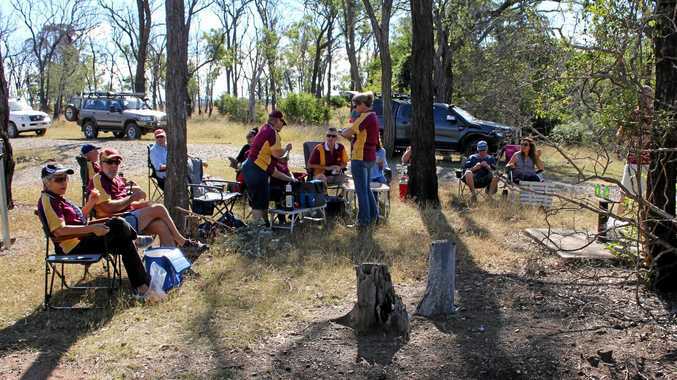 A stop off at the Wallaville pub for some great country hospitality and to wash down the dust and discuss the day's travels capped off what was a great day out and about. 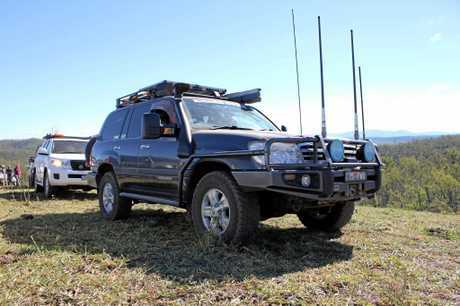 To find out more on the Bundaberg Four Wheel Drive Club and activities we have on, email bundy4wd@bigpond.com, visit www.bundaberg 4wdclub.com or catch us on Facebook or Instagram. Brad Newth atop the ridge.